In 2016, University of California, Berkeley, engineers demonstrated the first implanted, ultrasonic neural dust sensors, bringing closer the day when a Fitbit-like device could monitor internal nerves, muscles or organs in real time. 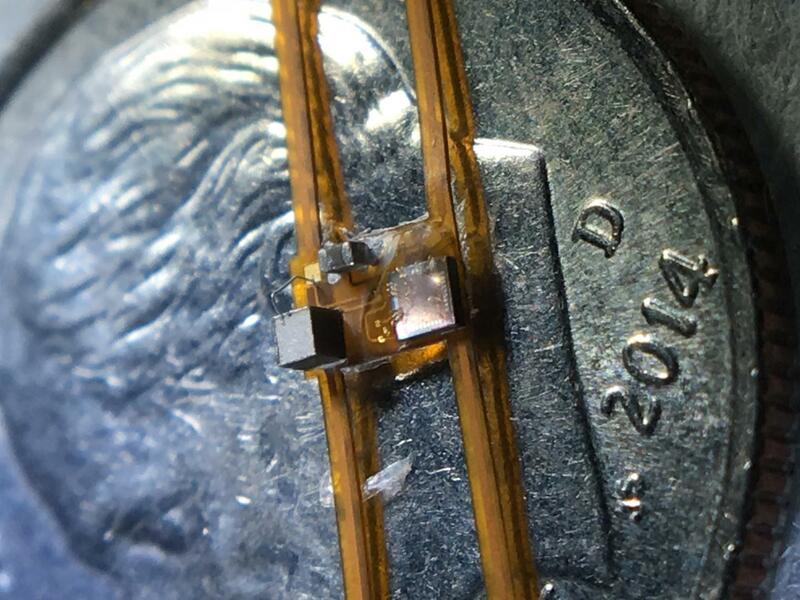 Now, Berkeley engineers have taken neural dust a step forward by building the smallest volume, most efficient wireless nerve stimulator to date. The device, called StimDust, short for stimulating neural dust, adds more sophisticated electronics to neural dust without sacrificing the technology's tiny size or safety, greatly expanding the range of neural dust applications. The researchers' goal is to have StimDust implanted in the body through minimally invasive procedures to monitor and treat disease in a real-time, patient-specific approach. StimDust is just 6.5 cubic millimeters in volume and is powered wirelessly by ultrasound, which the device then uses to power nerve stimulation at an efficiency of 82 percent. "StimDust is the smallest deep-tissue stimulator that we are aware of that's capable of stimulating almost all of the major therapeutic targets in the peripheral nervous system," said Rikky Muller, co-lead of the work and assistant professor of electrical engineering and computer sciences at Berkeley. "This device represents our vision of having tiny devices that can be implanted in minimally invasive ways to modulate or stimulate the peripheral nervous system, which has been shown to be efficacious in treating a number of diseases." The research will be presented April 10 at the IEEE Custom Integrated Circuits Conference in San Diego. The research team was co-led by one of neural dust's inventors, Michel Maharbiz, a professor of electrical engineering and computer sciences at Berkeley. The creation of neural dust at Berkeley, led by Maharbiz and Jose Carmena, a Berkeley professor of electrical engineering and computer sciences and a member of the Helen Wills Neuroscience Institute, has opened the door for wireless communication to the brain and peripheral nervous system through tiny implantable devices inside the body that are powered by ultrasound. Engineering teams around the world are now using the neural dust platform to build devices that can be charged wirelessly by ultrasound. Early engineering work by D.J. Seo, a Berkeley Ph.D. student who was co-advised by Alon and Maharbiz, followed by experimental validations by Ryan Neely, another Berkeley Ph.D. student, advised by Carmena, set the foundations of the neural dust vision. In the years since neural dust's invention, ultrasound has proven to be among the most promising technologies for powering and communicating implantable devices. StimDust is about an order of magnitude smaller than any active device with similar capabilities that the research team is aware of. The components of StimDust include a single piezocrystal, which is the antenna of the system, a 1-millimeter integrated circuit and one charge storage capacitor. StimDust has electrodes on the bottom, which make contact with a nerve through a cuff that wraps around the nerve. In addition to the device, Muller's team designed a custom wireless protocol that gives them a large range of programmability while maintaining efficiency. The entire device is powered by just 4 microwatts and has a mass of 10 milligrams. "One of the big visions of my group is to create these very efficient bidirectional interfaces with the nervous system and couple that with intelligence to really understand the signals of disease and then to be able to treat disease in an intelligent, methodical way," Muller said. There's an incredible opportunity for healthcare applications that can really be transformative."